A few more upcoming music festivals announced their lineups yesterday, and some big, familiar names are at the top of the billing. Pearl Jam and Foo Fighters will headline Music Midtown, which comes back to Atlanta’s Piedmont Park September 21-22 after being revived in 2011. The Avett Brothers, Girl Talk, T.I., Florence and the Machine, Ludacris, Joan Jett and the Blackhearts, and others are also on the lineup. Music Midtown originally ran for 12 years from 1994 to 2005. Visit Music Midtown’s website for tickets and scheduling information. Skrillex and Snoop Dogg, meanwhile, are among the acts slated to perform at Ottawa Bluesfest, which takes place June 4-16 at the Canadian capital’s LeBreton Flats Park. The lineup puts an emphasis on dance music (Tiesto, Paul Oakenfold, MSTRKRFT, A-Trak, Chromeo), but runs the gamut from heavy rock (Iron Maiden, Mastodon, Alice Cooper) and indie favorites (Grimes, Handsome Furs) to alternative rock (Nickelback, Our Lady Peace). The Weeknd, Seal, Tyga, John Mellencamp, Young the Giant, 10cc, Billy Bragg, Beirut, and many more are on the bill, but we’d be especially stoked to see rare performances by returning artists Lauryn Hill and Deltron 3030. For more information, visit Ottawa Bluesfest’s website. Seattle’s Capitol Hill Block Party has just released who will be coming to the city’s Capitol Hill neighborhood July 20-22. Neko Case, Major Lazer, Fitz and the Tantrums, Phantogram, Aesop Rock, the Lumineers, Grimes, Diplo, Youth Lagoon, Thee Oh Sees, Cloud Nothings, Spoek Mathambo, Twin Shadow, Dam-Funk, Doomtree, Porcelain Raft, Light Asylum, King Tuff, John Maus, Crystal Stilts, the Coathangers, Blue Sky Black Death, and many more are on the bill so far. For more information, visit Capitol Hill Block Party’s website. Coming up soonest of all will be +(Plus) Fest, which Bacardi+ is presenting on May 4 in 10 cities nationwide. MSTRKRFT, Kendrick Lamar, Big Gigantic, Danny Brown, Big Freedia, Beats Antique, and Rob Garza of Thievery Corporation will be among more than 40 acts appearing. Celebrating a new line of pre-mixed cocktails, the event will take place simultaneously in Austin; Chicago; Las Vegas; Boston; Washington, D.C.; Chapel Hill, N.C.; Phoenix; Columbia, S.C.; New York, and Miami. The event is free for the 21-and-up crowd with RSVP via the fest’s Facebook page. 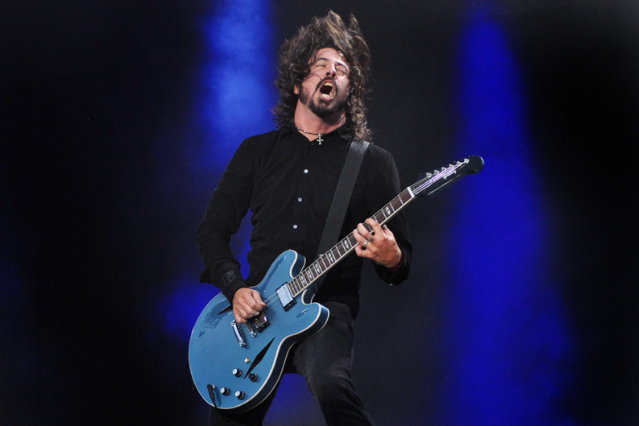 Foo Fighters and Pearl Jam are also set to headline the DeLuna Fest September 21-23 in Pensacola, Fla., while as previously reported, Skrillex will be performing at the August 3-4 HARD Fest, the May 18-20 Hangout Fest, and the June 7-10 adventure that is Bonnaroo. Oh, and at the August 10-12 Outside Lands fest, Skrillex will, of course, be performing alongside Foo Fighters. Snoop Dogg, meanwhile, recently took the stage with Dr. Dre and, um, others to help close out Coachella.